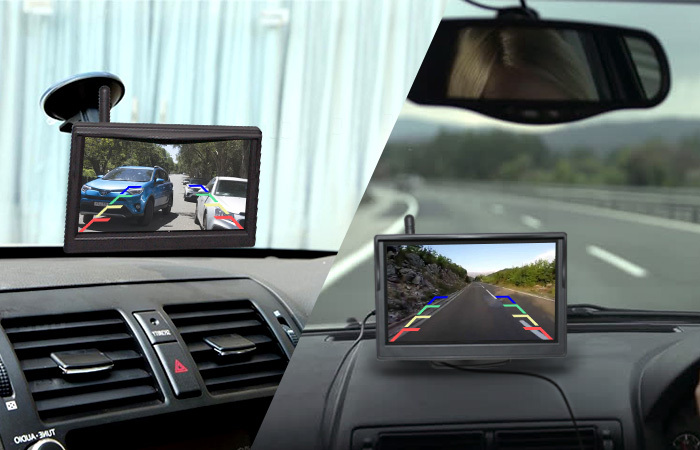 It gives you wider view when backing, reversing and lesser blind spots. 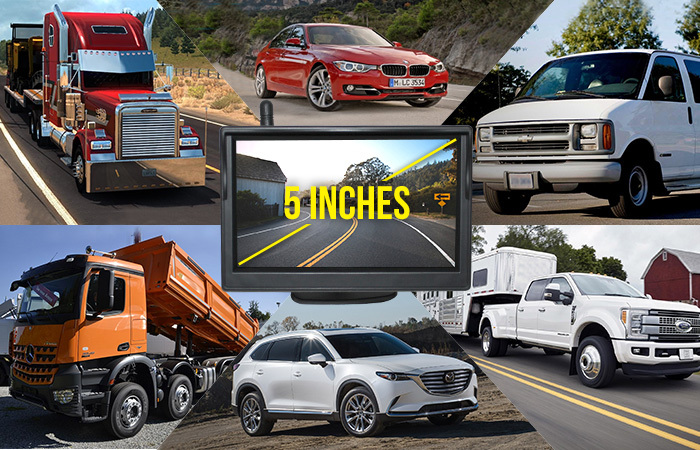 Suitable for Cars, SUV, Van, RV, Trucks, Motorhomes, Trailers with No Interference signals providing clear pictures. Won’t take over 2 minutes to install the monitor,as soon as you plugged it to the cigarette lighter. 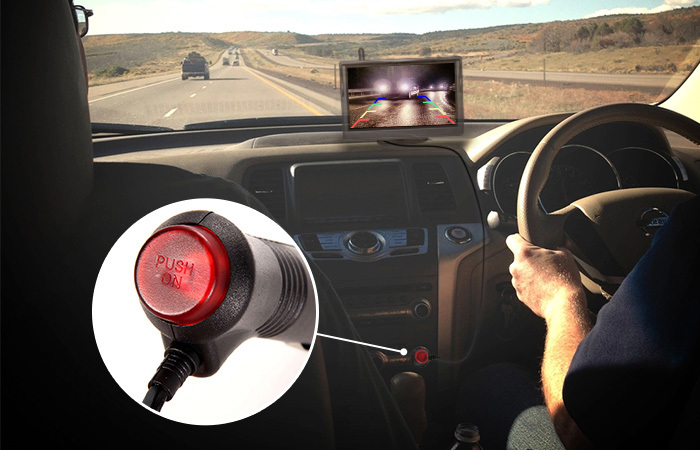 Monitor automatically turns on and switch to rearview camera when reversing. 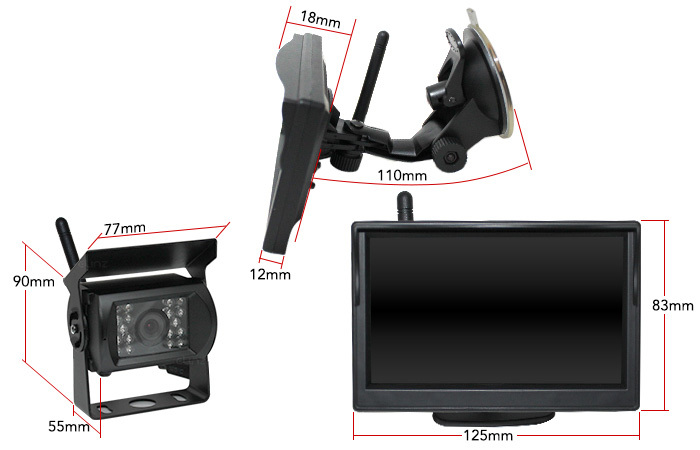 You have 2 options on installing the monitor, either using windscreen suction cup mount or dash board stand. 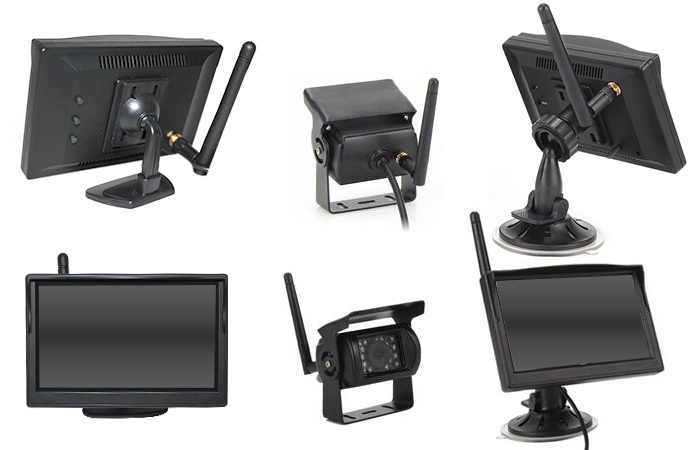 Safety and protection is what we can offer you with this 5" monitor wireless reversing CCD camera. Featuring a 600TVL camera to provide you clear images with 18 IR LED for night vision. 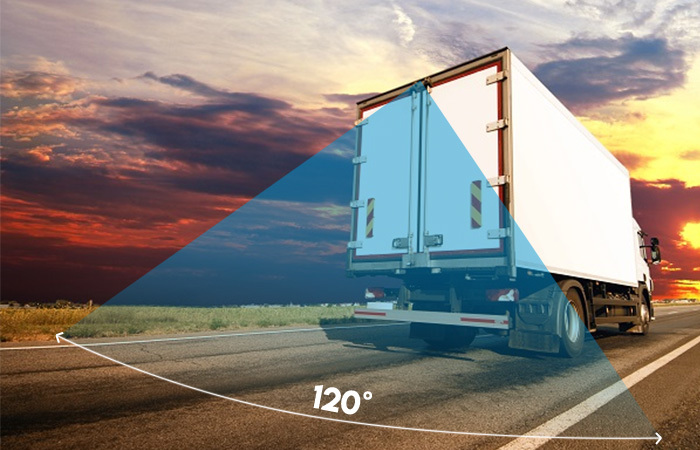 A wide angle view of 120 degree for lesser blind spots and you can easily install this in minutes. 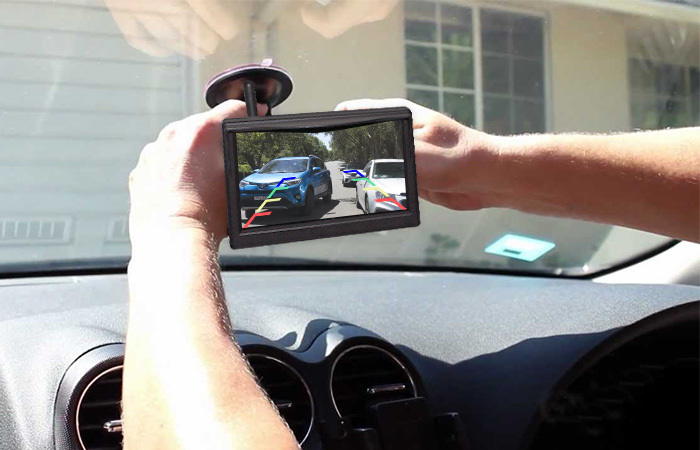 This wireless reverse camera system comes with FREE car cigarette charger with switch for convenient installation. It has a wireless transmission of ≤30 meters in the open field. 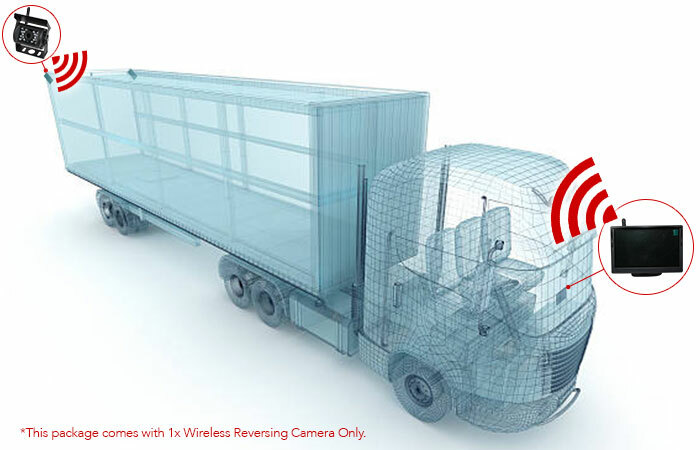 It has a high rating of IP67 making it very durable and suitable in all environments. What are you waiting for? 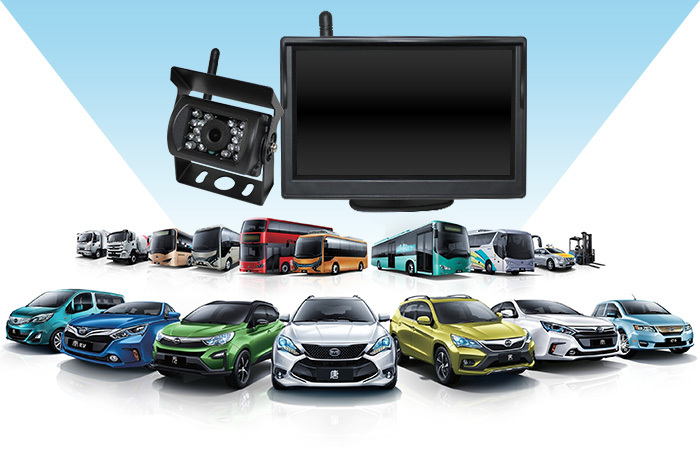 Get this awesome reverse camera system for your vehicle and build up confidence in driving, making yourself, your passengers, other drivers and people around you, much safer. 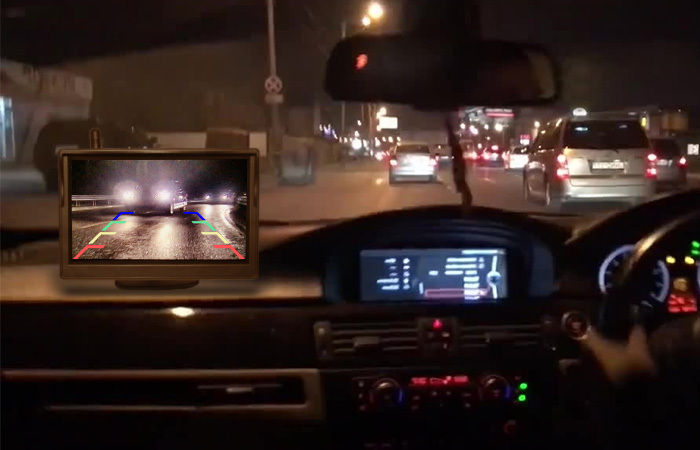 It won’t take over 2 minutes to install the monitor, as soon as you plugged it to the cigarette lighter.